Entamoeba parasites. 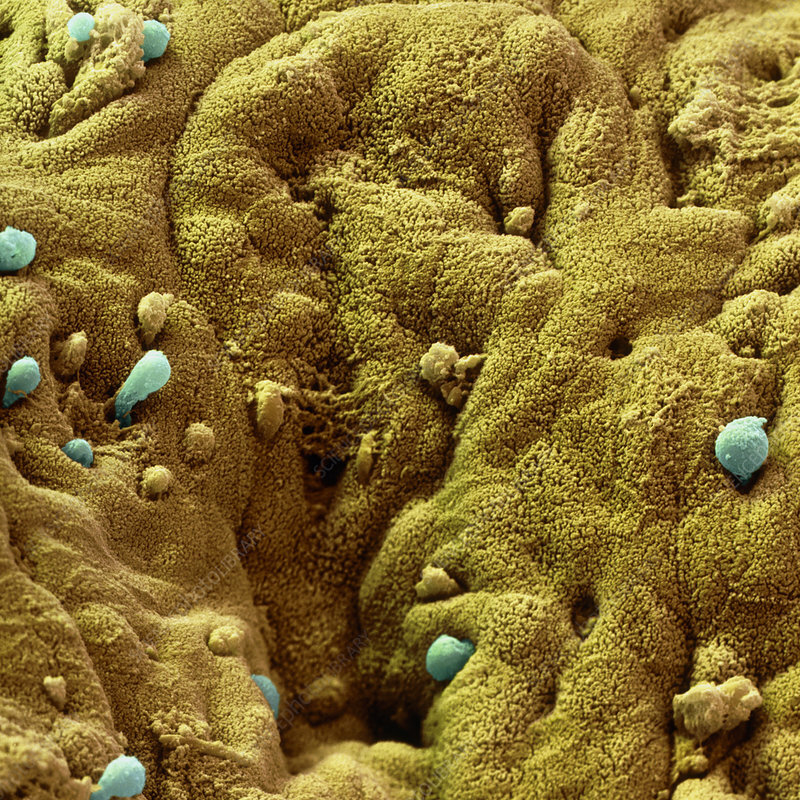 Coloured scanning electron micrograph (SEM) of Entamoeba histolytica amoebae (blue) invading the lining of the large intestine (colon). These protozoa cause amoebic dysentery & ulcers. They may spread to the liver, lungs and other tissues, causing abscesses to develop. Infection is caused by the ingestion of cysts in contaminated food or water. The cysts develop into the pathogenic tropozoite forms seen here. New cysts are carried out of the body in the faeces. E. histolytica occurs worldwide, with up to 50% of the population being infected with it in hot regions with poor sanitation. Magnification: x1000 at 6x6cm size.